Drink plenty of water in Rome in July! Rome in July is hot hot hot! This is the time of year for shorts, sandals and lots of water. And big crowds at the major Rome attractions like the Colosseum and Vatican. But you can still really enjoy the city even in the heat - there are ways to avoid big crowds, and to cool down. The warm, breezy nights are ideal for a summer stroll, and there are plenty of outdoor night events. And with long, sunny, blue-sky days, and very little rain, Rome shows off her summer glow and is breathtakingly beautiful. July in Rome means concerts! 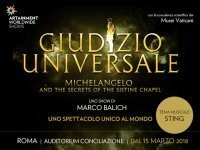 We have some amazing concerts coming to Circus Maximus, Caracalla Baths, the ancient theater at Ostia Antica, and the Rome Auditorium. What to pack? What to wear in July in Rome? 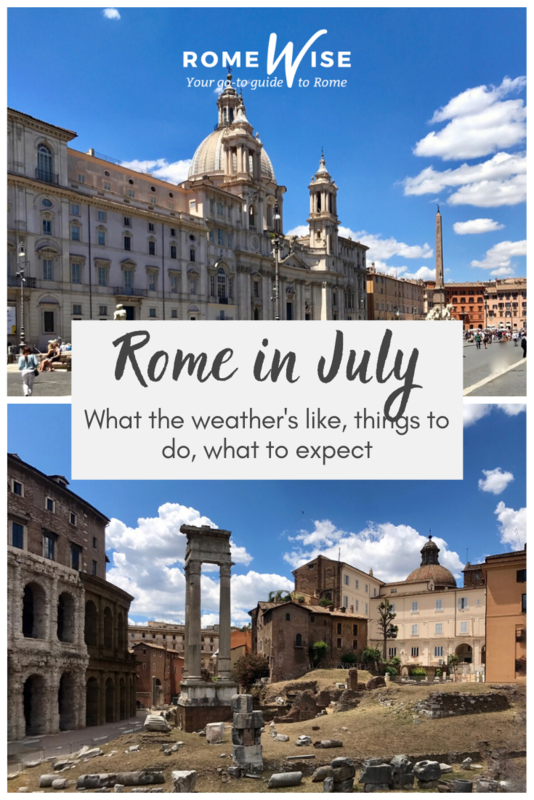 Is July a good time to visit Rome? The weather in Rome in July is hot and humid. During the day it's in the mid 30's C / mid 90's F, and in the evenings, it's in the low 20's C / low 70's F.
Even nights are muggy and steamy, although sometimes it can rain and we get a little cool-down. The days are very long, which means it's a good time to enjoy the city early in the day, and then again later in the afternoon, with an indoor lunch or nap break in the middle of the day. Trust me I am not crazy when I tell you to bring a scarf with you to Rome. For July, this means a very lightweight all-cotton/linen scarf. Why? First, you can wear it on the plane or anywhere chilly. Second, it's perfect for carrying around with you, so you can cover up those bare shoulders to visit a church. This goes for men and women. And third, well of course you will be fashionable, just like a Roman! On a hot sunny day in Rome in July, people are wearing light clothes, and definitely sun-hats! At this point in the season, I see many people walking around Rome wearing tank-tops. Depending on your sensitivity to sun, you may want to consider wearing a t-short or other light short-sleeved top that covers your shoulders. In July, you can expect Rome to be very hot and muggy, especially during the day. The days are really long, so it's great to get up early and sight-see before the mid-day heat and sun kick in. Getting up early to see the Colosseum is a good way to beat the crowds and the heat in summer. I took this at 7:20am in mid-June and look how bright it is already! But also empty! There are a lot of outdoor nighttime things to do and it's wonderful to be outside in the late afternoon and evening, and soak up the warm air and beautiful light. Is it crowded in Rome in July? In some ways, July is not high season in Rome: many Italians who travel this month prefer the beaches. And so do other visitors. So hotel rates drop a little from June. On the other hand, July is a month for summer travel for families and anyone travelling based on the school calendar. 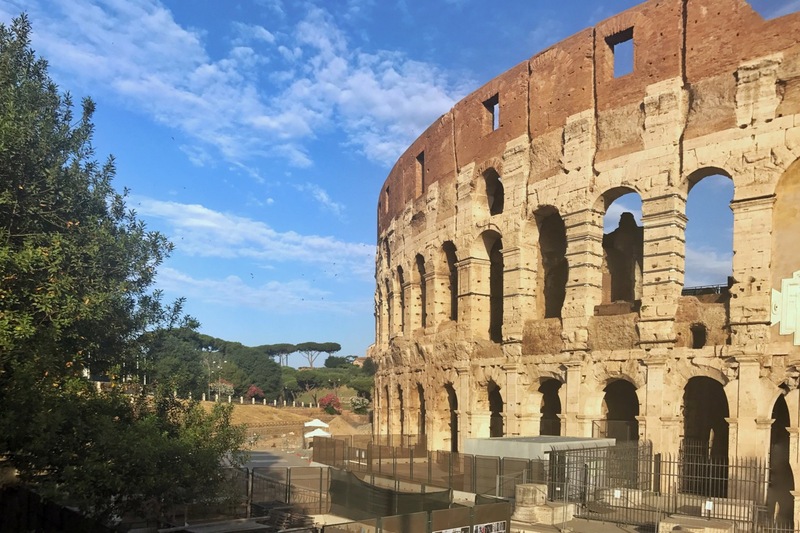 So, yes, you will find Rome crowded in July, in particular the main tourist attractions like the Colosseum, Pantheon and Vatican. July is a fantastic time to eat all those delicious summer fruits like peaches, apricots, plums and melons. Tomatoes are at their summer best so you will find many varieties in all shapes, sizes and even colors. Apricots at my market in Rome in July - super sweet and juicy this time of year! Summer is also a great time to eat vegetables like spinach, zucchini, eggplant and peppers. You may find eggplant parmesan (melanzana alla parmigiana) all year long in Rome, but believe me, it is so much more delicious in summer, when all the ingredients are in season. 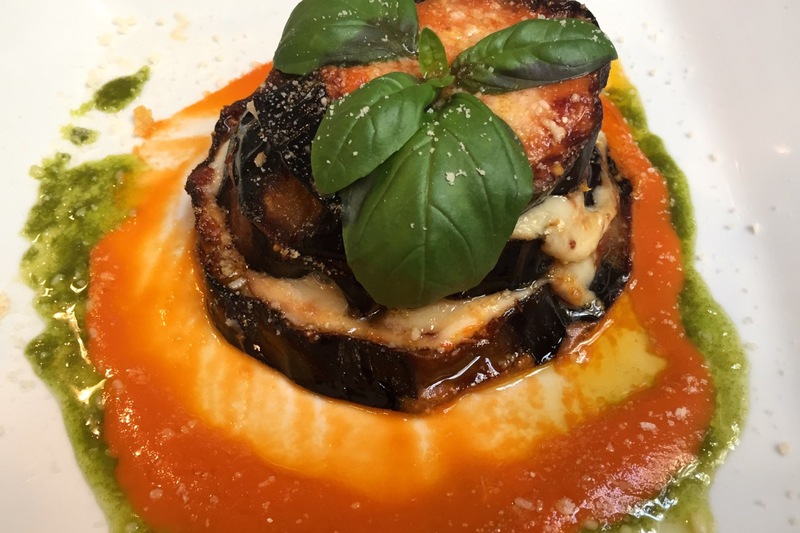 This eggplant parmesan at Pizzeria Emma is one of the best I've tried in Rome. And summer is the time to have it! Fennel is another popular vegetable in Italy, and it's in season in summer. One of my favorite summer salads you can easily find in Rome is made with super thinly sliced fennel, meaty black olives, and juicy orange pieces. It's tasty, refreshing, and healthy. 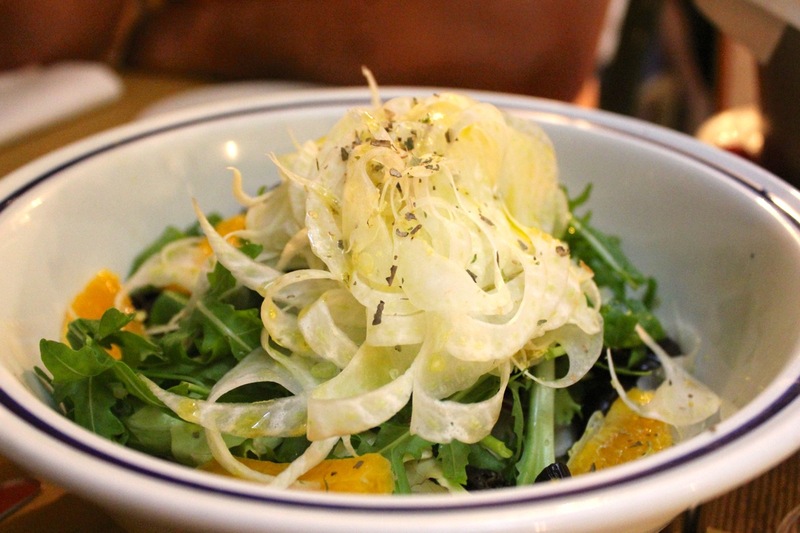 Fennel and orange salad with black olives at Sorpasso, a summer treat in Rome. 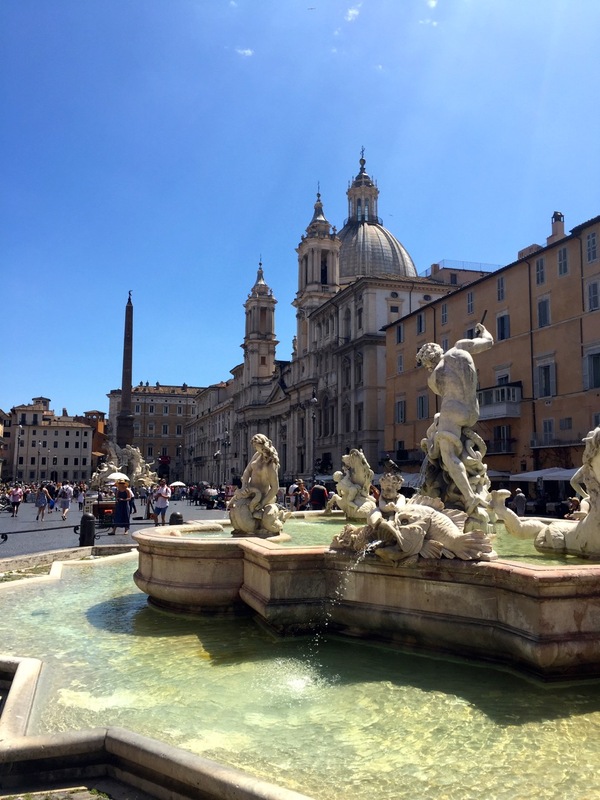 July is the time for not only sight-seeing in Rome, but also for enjoying the city outdoors. It's a time for outdoor opera, rock concerts, and nighttime cultural events among the ruins of Ancient Rome. Rome in July - summer sales begin! In Italy, we have sales twice a year: once in winter and once in summer. In summer, they usually they begin on the first Saturday of July. In 2018, summer sales start Saturday July 7. It also means that starting in July, the new fall fashions will begin to appear in stores. I personally have a hard time trying on pants, sweaters and jackets in the summer, but it's the time to buy if you want to stock up with any new fall wardrobe items. When summer sales begin in Rome in July, you will also start seeing the new fall fashions. In July 2019, we do NOT have the Free Sunday. This means you have to pay, as you normally would, but it also means you can reserve a spot, skip the line, visit the S.U.P.E.R. sites, and book tours. From early June through mid September, everyone is welcome to Gay Village, one of Rome's largest LGBT festivals of the year. The festival is held in the huge Città dell'altra Economia in Testaccio. Open nightly, there will be dance, music, nightclub, sports and other live outdoor events. Sunday - Wednesday, from 6pm. Thursday - Saturday, from 7pm. The below nighttime things to do in summer are mostly outdoor things to do in Rome (except for visiting the Vatican Museums on Fridays.) They are not free and should be booked in advance. Now through fall, you can visit the Colosseum at night! This is a very special thing to do as you see the colosseum from a very different point of view. In July, it's open every night except the 31st. Time slots from 8pm to midnight. 20€ and not to be combined with the Roman Forum. Not part of Roma Pass. 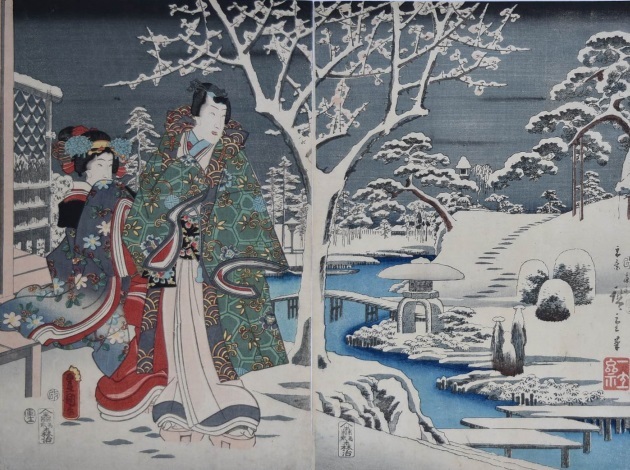 At the Scuderie al Quirinale - Hiroshige, Visions of Japan. From March 1 - July 2018. Sun - Thu 10am – 8pm, Fri - Sat 10am – 10:30pm; last admission one hour before closing time. 12€ adults. See their website for reduced rates, and pre-booking options. 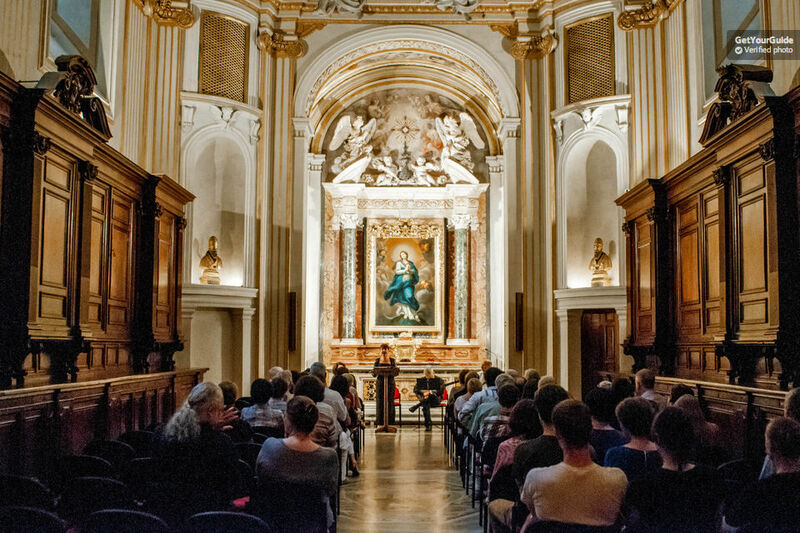 Watch and listen to chamber music and string quartets in a stunning setting the cloister of Borromini's church, St. Ivo alla Sapienza. 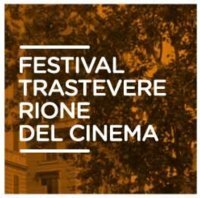 Shows in Rome in July 2018 include La Traviata by Verdi, Carmen by Bizet, and the ballet Romeo e Giulietta (Romeo and Juliet). 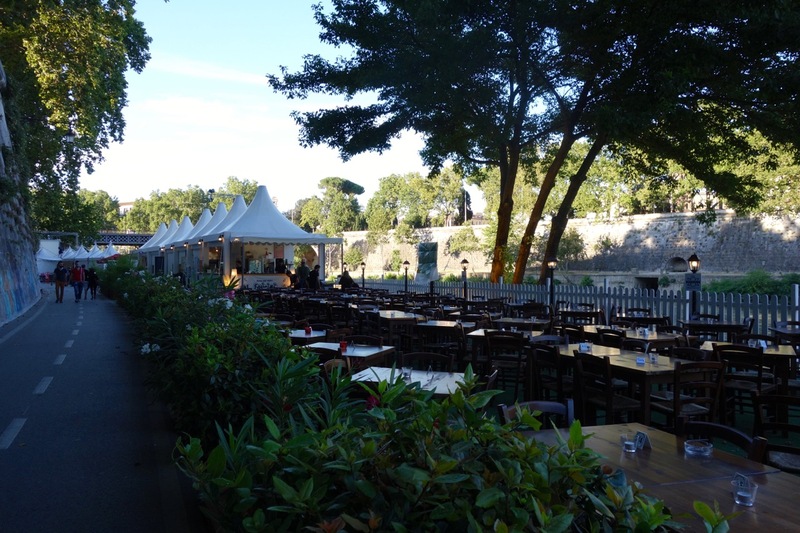 Attend an open-air concert under the stars, in the beautiful secluded Filarmonica Gardens, just past Piazza del Popolo. Enjoy live music by a symphony orchestra, accompanied by a soprano. You'll hear some of the best-known theme songs from blockbuster movies, such as the theme from Doctor Zhivago, Star Wars, Lawrence of Arabia, Gladiator, and many more. 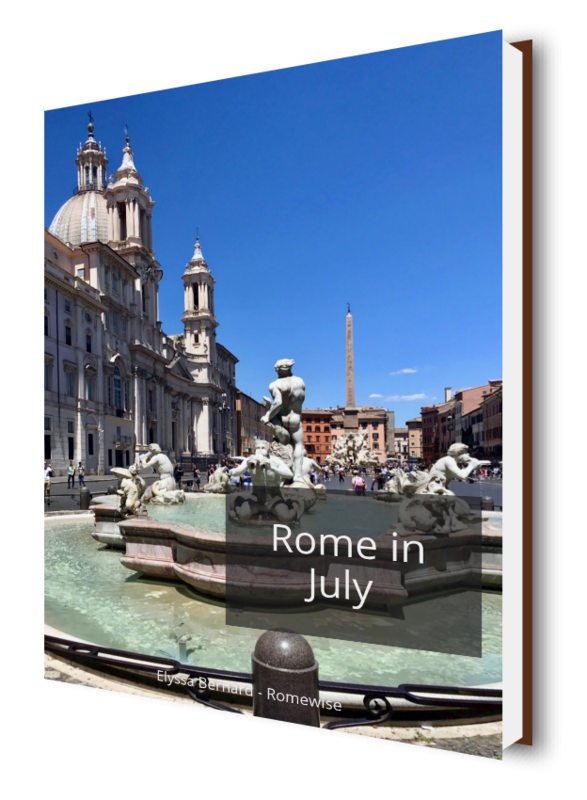 Get the Rome in July e-book today, and take it with you, even offline!